Beach Cove Resort the most exciting vacation experience ever! 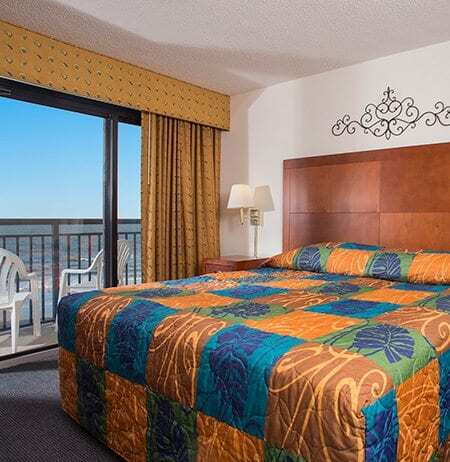 Beach Cove Resort is conveniently located in North Myrtle Beach, close to all the Grand Strand has to offer. 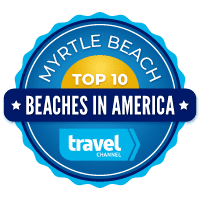 With easy access to Barefoot Landing and other Myrtle Beach area attractions and amusements, this North Myrtle Beach resort is one of the most popular in the area. Featuring all oceanfront suites and condos, guests can enjoy fabulous views of the Atlantic Ocean and all of the familiar comforts of home. Amenities are plentiful and include three outdoor pools, oceanfront whirlpools, kiddie pool and a 350-foot lazy river, all surrounded by lush landscaping. Indoor water features allow for relaxation in the whirlpool, pool or sauna. 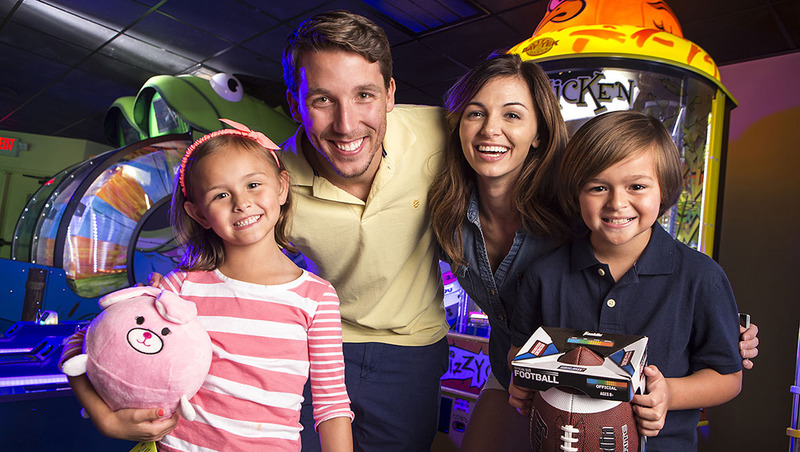 Guests also have access to an on-site racquetball court, dining, gift shop and summer activities. The resort amenities at Beach Cove are endless. 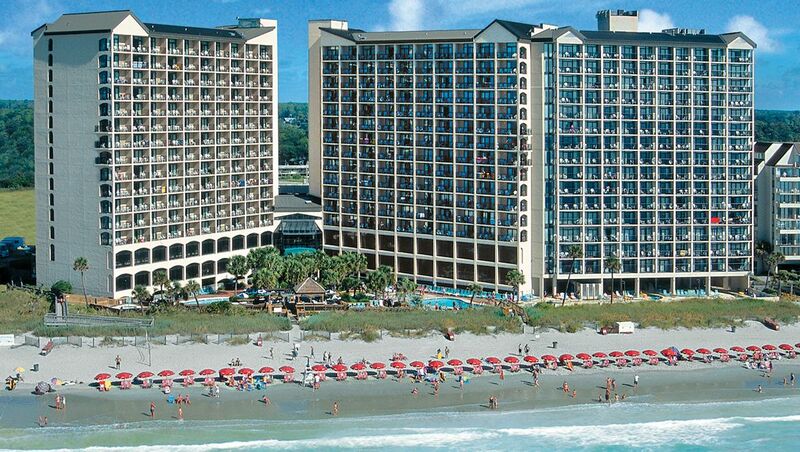 Relax and get away from it all with your family and loved ones at Beach Cove Resort in North Myrtle Beach, SC. 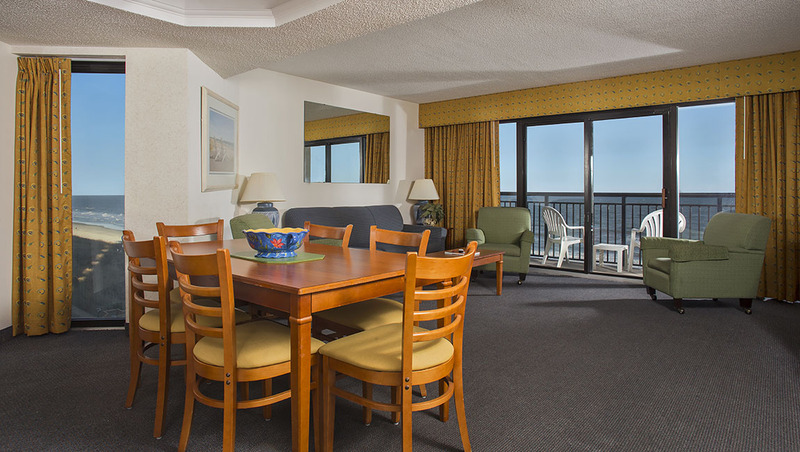 Beach Cove Resort features all oceanfront suites and condos, meaning everyone has a great view of the beautiful Atlantic Ocean. 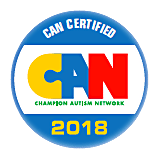 Ranging from one to three bedrooms, we have the perfect accommodations for your family or group getaway! 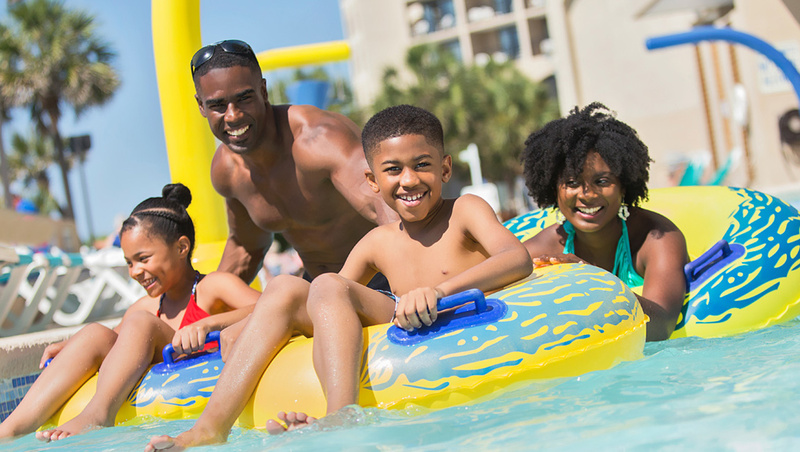 Beach Cove Resort is full of water features for the whole family to enjoy, complete with a long lazy river, outdoor heated pools and whirlpools, indoor pool and more. 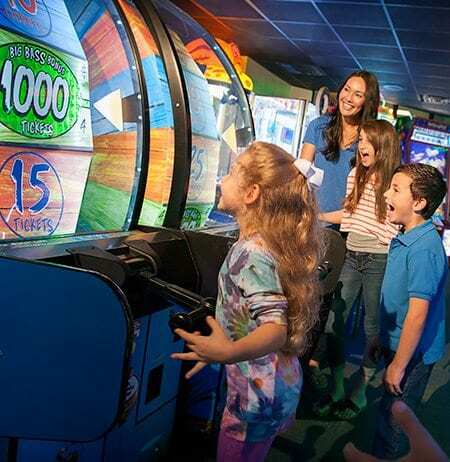 This North Myrtle Beach resort is the perfect place to relax, have fun and enjoy your family vacation. 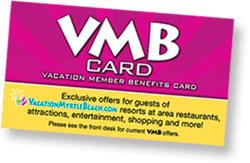 From the year-round breakfast buffet restaurant to a poolside beach bar, you won’t go hungry during your vacation. 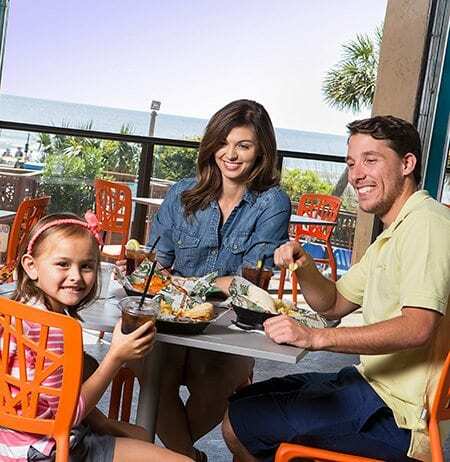 Whether you are craving a burger and fries or looking to unwind with a beachfront margarita, Beach Cove has it all. Beach Cove Resort is the perfect place for those who want to stay active while on vacation. 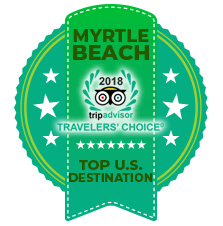 Let us help you plan the perfect and most unique group event in North Myrtle Beach! 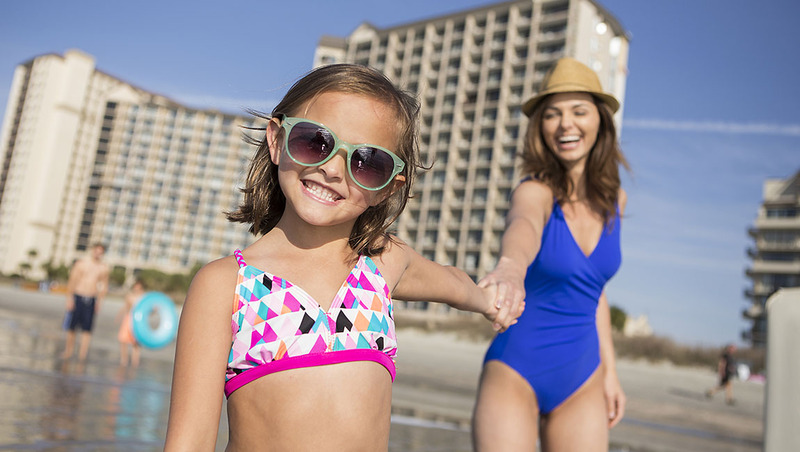 Beach Cove Resort in North Myrtle Beach is full of family-friendly fun, all-oceanfront accommodations, delicious on-site dining and an array of amenities to make your vacation the best it can be. Our resort features everything you need, right on site. There’s no need to leave the resort if you don’t want to! 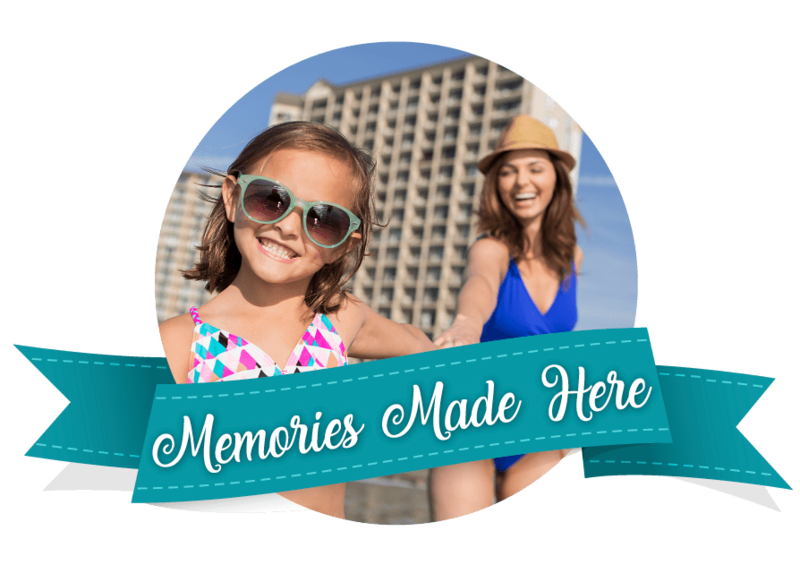 Check out our photos below and start planning your Beach Cove vacation today!